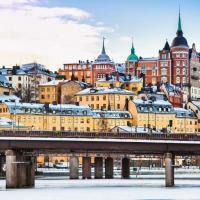 Get the best of both world’s and explore Stockholm’s most famous attractions as well as discovering hidden gems tucked away just around the corner from iconic sites. 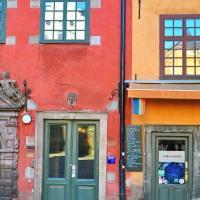 Your like-minded Local Host will share with you what life is really like in Stockholm and help you get oriented in the bustling city centre as you explore the famed sites between the elegant old town and hip Södermalm. 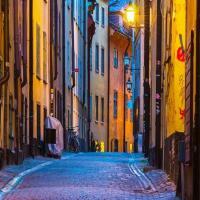 Explore the best known areas of Stockholm as well as getting a little off the beaten path, seeing a side to Stockholm that most tourists miss on your fully personalised route. Just like the locals do, slow down in the afternoon and dedicate enough time to ‘fika’. 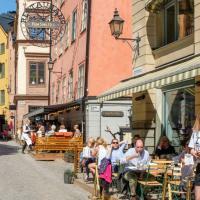 Get recommendations of the best places to taste authentic Swedish food - whether your preference is a Michelin star level or the best traditional family restaurant, Stockholm has so much to offer! This experience is great for all ages. Follow the unique route which your Local Host has designed specifically to take in your chosen attractions, as well as including a few secret local spots along the way! Spend time getting to know your Local Host who can give you advice, insider tips and Stockholm travel hacks and suggest things to see, do and eat that they know you’ll love. Your meeting point is flexible, and to be agreed with your Local Host. Meet up at your hotel or accommodation can be requested, or your Local Host will meet you at a convenient location close to the start of your experience.